Residential Permit Cheat Sheet – When Do You Need One and How Do You Get It? Residential construction has evolved significantly over the last 20 years or so. A nice Sunday drive thru towns east of Worcester such as Shrewsbury, Boylston, Northborough, and Southborough and you can easily see that Architects are no longer designing and Contractors are no longer building, the traditional cape or split entry style house anymore. They are designing and building larger houses, typically in a development, that in some cases barely fit on the parcel of land it sits on. There’s no better example of this than in the town of Shrewsbury; an affluent town that has increasingly become more desirable to live in. Residential construction can be seen in every corner of town. But, like anything, there is a process and codes that have to be considered. At the head of this is the building inspector who has the responsibility of enforcing those codes and approving permits. For the town of Shrewsbury, those responsibilities fall upon Patty Sheehan, the Inspector of Buildings. With a bachelor’s degree in structural engineering from Worcester Polytechnic Institute, Patty began her career 22 years ago as a local inspector and progressed to her current position in 2010. Prior to her current position, her previous experience included bridge design, field work on commercial buildings, and plans examiner for the City of Worcester. Additionally, Patty earned a master’s degree in secondary education at Worcester State University which propelled her to teach continuing education and preparation classes for the construction supervisor license. This month’s presentation and interactive discussion will be about maneuvering through the residential code and the process involved with securing a building permit. One of the objectives is to continue to promote a working relationship between building officials, design professionals, construction supervisors, and property owners, resulting in projects providing safe occupancy. Who better than Patty to lead this presentation! 1. 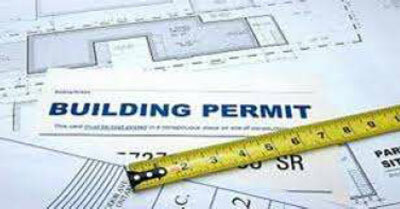 Prepare comprehensive permit documents for residential projects. 2. Identify minimum required permit information required for approval on construction documents. 3. Recognize when residential projects can be constructed without licensed design professionals. 4. Understand aspects of the IRC modified by and unique to Massachusetts. So, come join Worcester County CSI and learn the process to building your dream retirement home. Please RSVP to Terri Bracken at neregcsi@gmail.com.